As the cost of buying a home has begun to come down, home sales have begun to go up. The economics are not complicated, but they do speak to the tension between price and what buyers are able to pay that has constrained the housing market for the past year. For the moment, the factors behind that tension appear to be easing somewhat, which should encourage more buyers to enter the market in the coming months. After two months of declines, sales of existing homes catapulted 11.8 percent in February over January’s figures. The National Association of Realtors (NAR) said it was the largest month-over-month gain since December 2015. Realtors reported gains in each region of the country except the Northeast, which remained unchanged. Sales of existing single-family homes accounted for the biggest increase, rocketing 13.3 percent for the month. Those trends, along with a gradual lessening in rising home prices, are bringing more equilibrium to the market. Real estate website Redfin announced that home prices in the 85 metro areas it tracks increased just 1 percent in February, up just 0.6 percent from last February, the smallest year-over-year gain since March 2012, when prices began to rise again following the burst of the housing bubble in 2008. That’s welcome news for prospective buyers. According to the NAR’s latest Homeownership Opportunities and Market Experience (HOME) Surveyfor the first quarter of 2019, nearly two-thirds of participants believe now is a good time to buy a home, up 3 percent from the previous quarter. That is substantially higher than responses to Fannie Mae’s Home Purchase Sentiment Index (HPSI), which has been hovering around 53 percent for the past several months. Both indicators show a drop in respondents who say now is a good time to sell a home (4 and 5 percent, respectively), perhaps reflecting the softening in home prices. All these indicators confirm what realtors and builders have known for some time. Affordability is key to increasing homeownership. 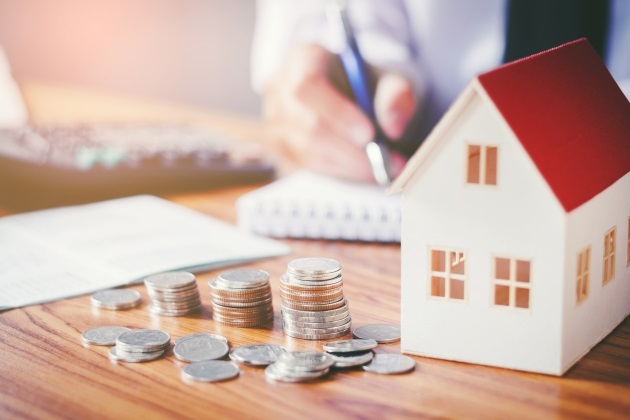 The National Association of Home Builders (NAHB) reported that 66 percent of new single-family home sales in January 2019 were priced between $200,000 and $400,000, compared to 51 percent a year earlier. That trend may have continued in February, although government figures for new homes sales have not yet been made available. In releasing the results of its Housing Market Index (HMI) for March, the NAHB noted that builders were reporting lower price points homes were selling well, which may account for a reported 2-point rise in current sales activity. A recent survey conducted by website Realtor.com found that nearly half of aspiring homebuyers are looking for a residence costing $200,000 or less. The authors note that the number of homes for sale in that bracket have actually declined by 7 percent from a year ago. At present, median home prices for both new and existing homes are somewhere in the $250,000 to $290,000 range — still a stretch for many would-be buyers. If not quite yet a buyers’ market, conditions do appear to be improving for those seeking more affordable options, and that should be good for the industry as a whole.